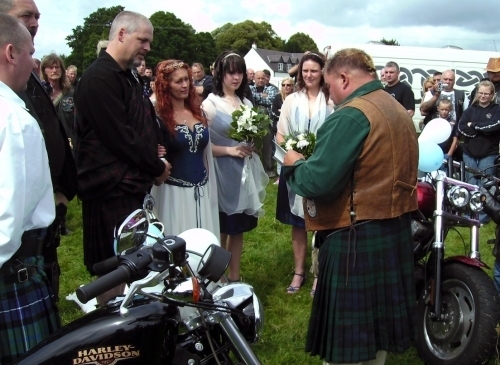 Hillbillies Motor Cycle Club (MCC) began in 1999 as a small, but dedicated group of motorbike enthusiasts in Muirkirk, Ayrshire, Scotland. 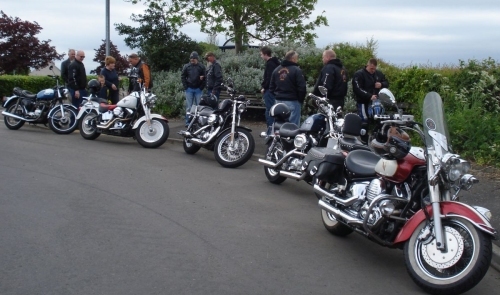 The club moved its base to Mauchline several years later and since 2007 also has a branch in Greenock. We are a family club that welcomes women and members' children. This friendly culture has helped the club to continue its success. 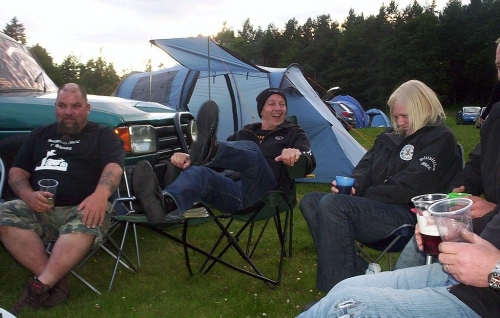 Hillbillies MCC still sticks to the original aims of riding bikes, having a good time and supporting local charities. 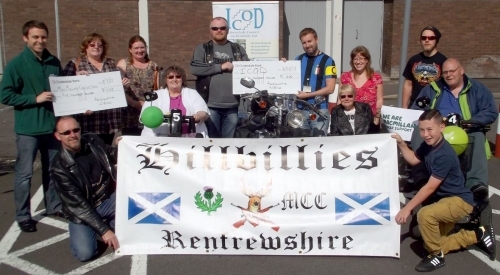 Hillbillies rock nights and charity ride-outs boost funds which we donate at Easter to the Children's Unit at Crosshouse Hospital and throughout the year to a variety of local charities including Combat Stress at Hollybush House and McMillan Cancer Support. 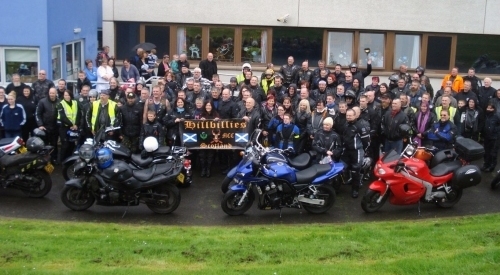 Every year, Hillbillies MCC organises a charity Easter Egg Run from Mauchline to Crosshouse Hospital on Easter Saturday. THANK YOU to everyone who has contributed and helped to support these runs over the years! 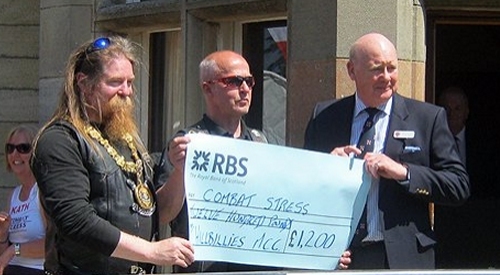 THANK YOU to everyone who has supported our fundraising over the years. For more photos of past fund raising events see the photos page. 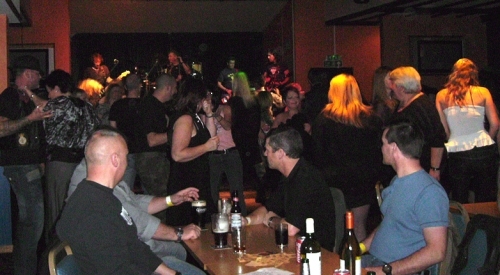 For photos of our rock nights, see the photos page. For photos of past camps and rallies, see our photos page. 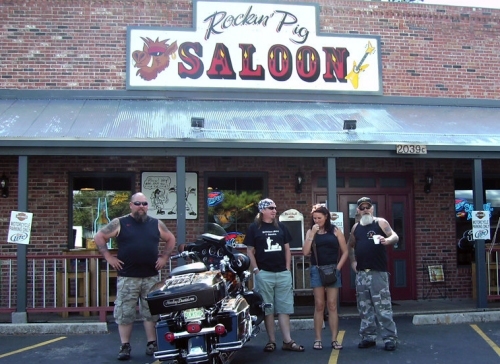 'Bikes Blues and BBQ', Arkansas, USA. For photos of our tours, see the photos page. For more photos, see Kevin & Ally's wedding photos. 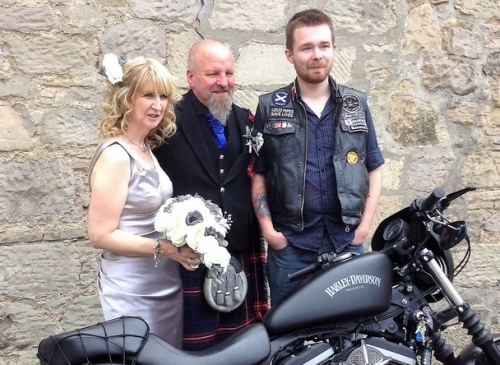 For more photos, see Sid & Josie's wedding photos.